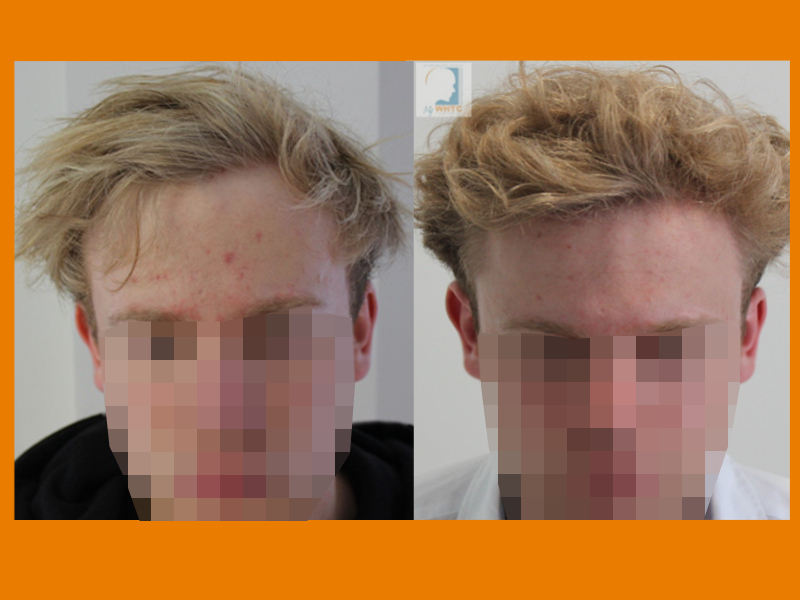 This twenty-seven-year-old Norwood II patient came to see Dr. Patrick Mwamba at MyWHTC clinic in Belgium (Europe) where the frontal hairline and temple peaks were treated with 1912 FUE/FIT grafts. 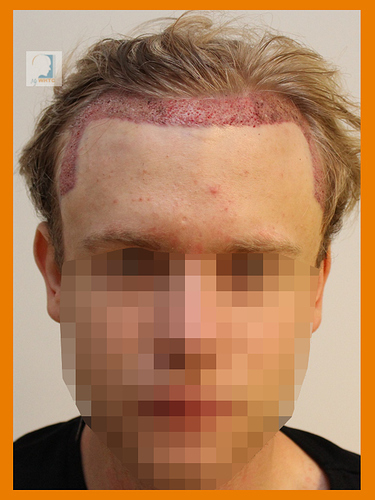 The patient has slightly wavy blond hair and fair skin with about average donor density. The patient’s top priority was to augment the naturally high hairline and improve the symmetry of the front. Below are photos showing the result after eleven months.